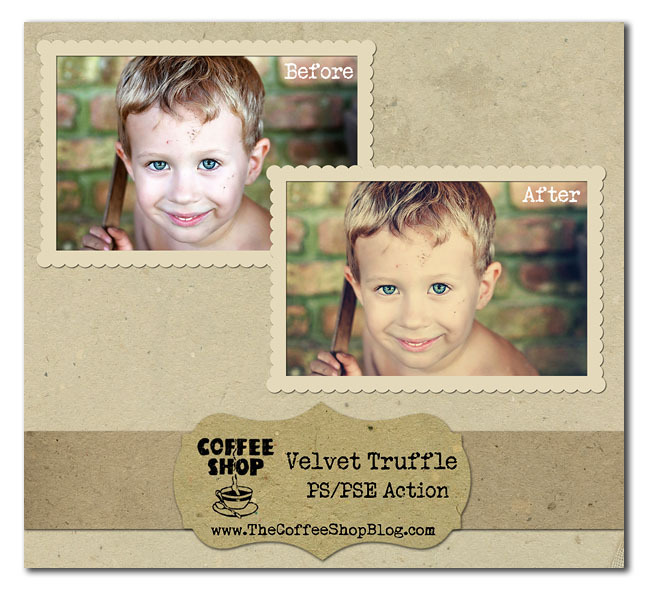 The CoffeeShop Blog: CoffeeShop Velvet Truffle PS/PSE Action and UnWrapped Tutorial! CoffeeShop Velvet Truffle PS/PSE Action and UnWrapped Tutorial! I went one step further and added the ShadowHouse Old Canvas-5 texture. I dragged the texture just above the background, desaturated it (Shift/Control/U)and then put it in Overlay Blending mode, 70% opacity. 1. Open your color/contrast adjusted image. 2. 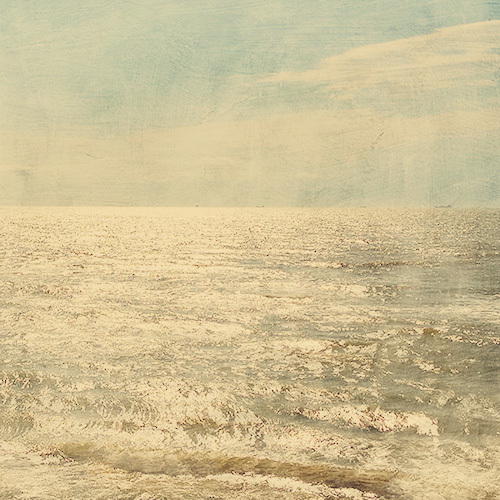 Add a Levels Adjustment layer and move the middle (gamma) slider to 1.25 to lighten the midtones. 3. Add a Hue/Saturation Adjustment layer and lower the saturation to -10. This will mute the color a tiny bit. 4. 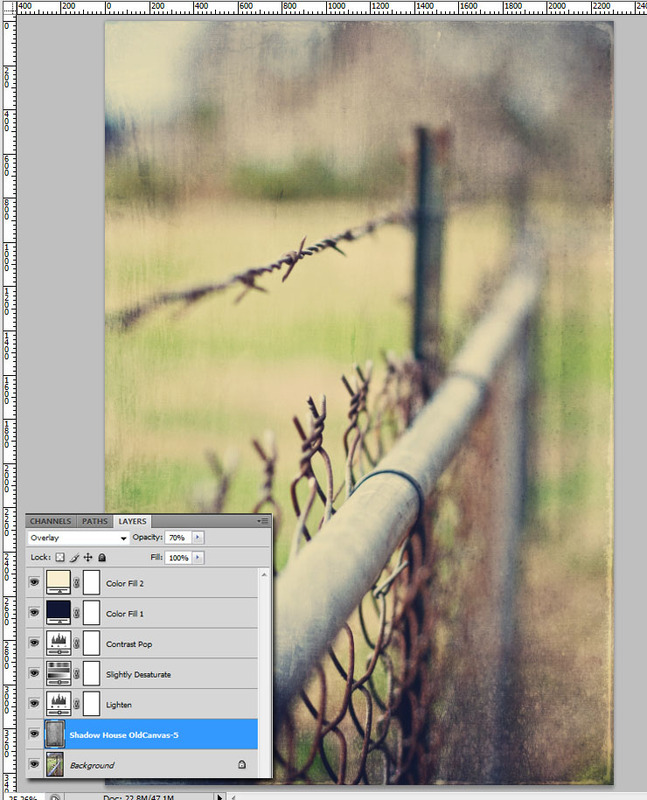 Add a Levels Adjustment layer with no adjustments and put this layer in soft light blending mode. This will add a contrast boost. 5. Add a Color Fill Adjustment layer, hex#06122f (dark navy blue), put it in Exclusion mode, and adjust opacity to taste. This adds a yellowish tint. I used 100% opacity in the action. 6. Add a Color Fill Adjustment layer, hex#faeed0 (ivory), put it in Multiply mode, and adjust opacity to taste. I used 75% opacity in the action. 7. Adjust layers to taste! Here is another before/after using this action and some free textures from my blog. Mouse over for the before. The tutorial for this edit is here. Download the free CoffeeShop Velvet Truffle action. 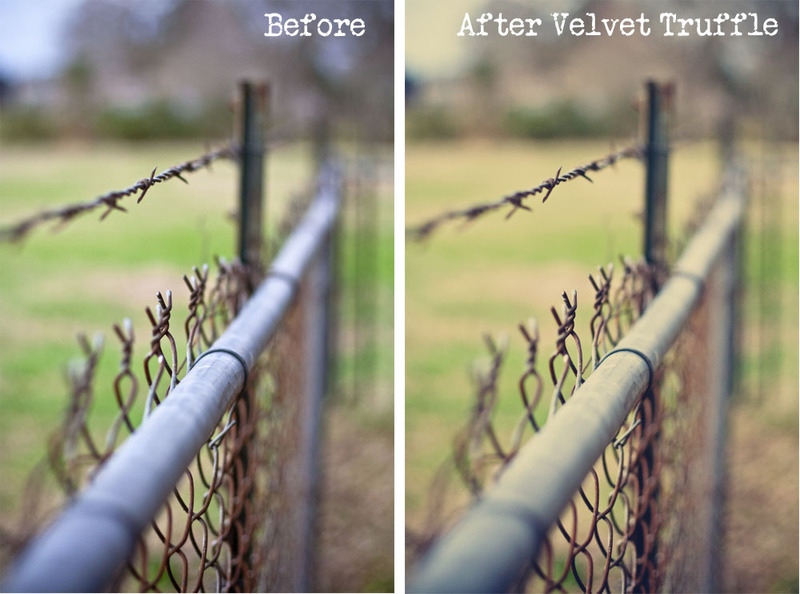 If that download does not work, you can download Velvet Truffle here. What a gorgeous action Rita! Thank you so much for sharing with us. This looks lovely; thank you! Thank you so much for this post. I want to let you know that I posted a link to your blog in CBH Digital Scrapbooking Freebies, under the Page 9 post on Dec. 06, 2010. Thanks again. Thank you so much for this post. I want to let you know that I posted a link to your blog in CBH Digital Scrapbooking Freebies, under the Page 4 post on Dec. 06, 2010. Thanks again. That's a gorgeous action! Thank you! I'm wondering if it's only compatible with PSE 9.0. I'm running 8, and it tells me that it can't run the action because it's not compatible with my version of Photoshop. I run all your other actions perfectly, so I'm not sure what's going on. This is gorgeous, Rita! Thanks so much and Happy Holidays to you and your family! This is lovely. I especially like your image after you added Jerry's texture...perfect. Many thanks for sharing. Another fantastic action, thanks for the how to too! Thank you . . . it's beautiful ~ as always! Thank you Rita! It looks lovely! Absolutely gorgeous!! You're an amazing artist, and we so appreciate that you share your talent with us so freely!! Thank you Rita!! You are so awesome!! This is my favorite action so far! I love, love, love it! Thank you so much! LOVE this action but unfortunately, I have PSE 9 and it's telling me it doesn't recognize the file :( Bummer! Okay, after a crazy half hour d/l from Shadowhouse creations, I came back and got the action. You rock! I used this action on some recent work with great results, thank you so much for sharing your creative genius! Thank you! You are AWESOME!!!! This is very similar to an effect I've been trying to achieve for ages - thank you so much! I am especially happy to see the tutorial, since I don't use Photoshop. I use Paint Shop Pro, and was able to make my own PSP script (action) from your instructions. Can't wait to explore and see what other goodies you have for me to adapt :-) Thank you! Well I finally donated to your site. Thanks so much for your beautiful free actions. I have searched around the web a lot for actions as good as yours and haven't found anything like them for style and class. Keep up the good work! It won't work, I have PSE 6 and it says that it is not compatiable with this version. Any suggestions. Definitely one of my FAVORITES!! Came across this link to an oldie but a goodie! Thanks so much.